Late afternoon view from the lookout on Mount Donald McLean. 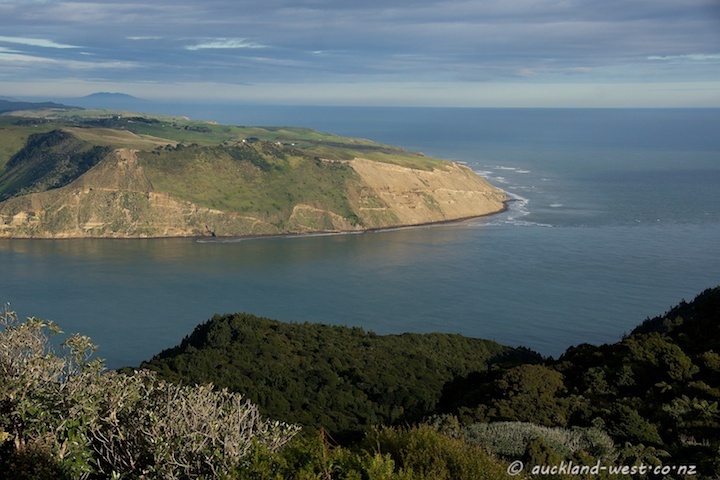 Manukau South Head with a hint of the (replica) lighthouse. Mount Karioi in the distance. Manukau Harbour to the left, big Tasman Sea to the right.